Few Provinces Track Complaints From Temporary Foreign Workers - Canada Immigration and Visa Information. Canadian Immigration Services and Free Online Evaluation. In 2013, temporary foreign workers filed at least 250 complaints across Canada related to mistreatment by employers. However, this figure, obtained by CBC News from individual provinces, only represents a small piece of a potentially larger problem. Only three provinces — Alberta, Saskatchewan and Newfoundland and Labrador — regularly track complaints made by migrant workers making it difficult to discover the true extent of workplace difficulties that these employees face across Canada. To tackle this issue, a few provinces are taking a different approach. They are auditing workplaces that employ temporary foreign workers instead of relying on the workers themselves, many of whom fear jeopardizing their jobs by coming forward while also facing language barriers. To further help remedy these issues, the federal government does work with the province to give information to both employers and workers about provincial labour standards. The more temporary workers a town has, the more complaints that originate from that location. Almost all of the 250 complaints recorded last year were from Alberta, which contains one of the largest populations of migrant workers and has carefully tracked complaints for the past few years. In recent years, Prince Edward Island is the only other province that quantifies workplace complaints by temporary foreign workers. The reason, however, is that it only had one major case: a seafood plant forced to pay $150,000 to 45 Thai workers, who were reimbursed for the plant wrongly withholding pay and unjustly firing some of the employees. The federal TFW program has been in the news repeatedly these past few months because of a series of controversies that the CBC and other media outlets have reported. Most provinces say they don’t know how many foreign workers have launched employment-standards complaints because they don’t record the type of complainant based on immigration status. That lack of information may affect what gets passed from the provinces that are responsible for enforcing workplace rules, to the federal government, which issues the approvals for companies to hire temporary workers from abroad. Ontario, home to a third of Canada’s temporary foreign workers, is among provinces that don’t track claims by type of claimant, which results in figures relating to complaints from temporary workers not being passed on to the federal government. The spokesperson for Nova Scotia says that while the province doesn’t specifically track foreign worker complaints, they do alert the federal government if there is an investigation. Nova Scotia looks for red flags that are typical of temporary foreign worker problems in its investigations, such as an employer taking a worker’s passport or a worker being charged a fee for coming to Canada. The temporary foreign worker program has faced intense scrutiny in recent months and the Employment Minister, Jason Kenney, is expected to announce changes to in the coming weeks. 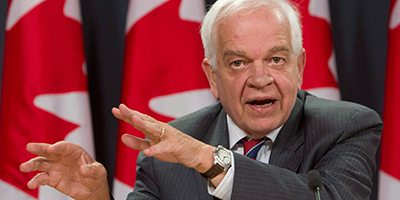 The federal government has repeatedly noted over the years that temporary foreign workers have the same rights as Canadian workers under federal and provincial standards and labour laws, including the right to complain if facing mistreatment in the workplace. But some provinces without such pacts complain that they don’t know which companies within their jurisdictions employ TFWs, making it difficult to enforce their labour laws. Ontario has been calling on the federal government for years to share information that would help it identify employers of TFWs in the province and the two levels of government are currently in negotiations. New Brunswick is in the midst of following the province of Manitoba with the creation of a mandatory registry of employers of temporary foreign workers, scheduled for the fall. Once in place, they say they’ll be able to track complaints by TFWs while auditing their workplaces as well.